If you are interested in sponsoring the International Whisky Competition, please contact Sylvain Allard, Managing Director, at s.allard@whiskycompetition.com. Official Glassware sponsor for the International Whisky Competition since 2010. The IWC exclusively uses the handblown Johnson's Whisky Tots from Bottega del Vino Crystal. Judges were carefully selected for their experience and professionalism. Each judge was coached by Wine & Whisky Expert and author Sébastien Gavillet and was given Le Nez du Whisky developed by Jean Lenoir, Charles MaClean and Martine Nouet and will provide a unified language for the aromas. 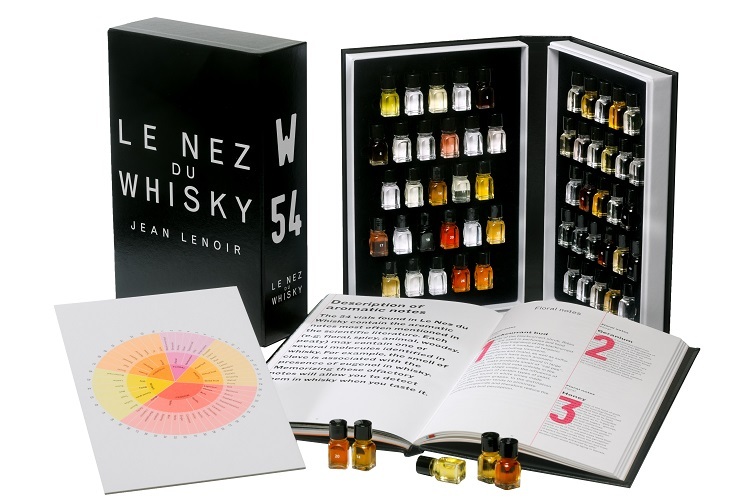 Le Nez du Whisky feature's 54 of the most commonly found aromas in Whisky and is the industry’s sensory reference. Discovering & Mastering Single Malt Scotch Whisky is a book that takes you on an in-depth educational journey into the world of "Single Malt Scotch Whisky." Both novices and experts alike agree that the format of this book and the wealth of knowledge it provides make it one of "the books" every Whisky lover should own. Its simplistic approach makes it easy to immerse oneself in its well-researched facts regardless of your level of expertise. At every step, you will find helpful tips and references as well as a complete glossary located at the end of the book. In writing Discovering & Mastering Single Malt Scotch Whisky, Sebastien Gavillet excelled in grouping hundreds of invaluable references and arranging them all into one book. So fellow Scotch lovers, mastering the "World of Single Malt Scotch Whisky" is just a book away! Available through Amazon.